Special bar quality (SBQ) producer Timken Co. is targeting end-use markets not readily served by other producers through capacity expansions. Executives told investors during an earnings conference call that despite fourth-quarter steel capacity utilization rates dropping below 50 percent, Timken’s ongoing equipment upgrades and installations are aimed at developing new, larger-diameter products for users outside the automotive industry, on which most competitors are now focusing. Canton, Ohio-based Timken broke ground last April on a $225-million project at its Faircrest Steel Plant in Canton. Steel segment sales are expected to fall 7 to 12 percent this year, “driven by lower end-market demand in the oil and gas and industrial sectors,” chief financial officer Glenn Eisenberg said during the conference call, but a slow start will be balanced by improving conditions throughout the year. Competitors are aiming at high-volume automotive/mobile equipment markets, “whereas ours targets a different market opportunity,” Griffith said. 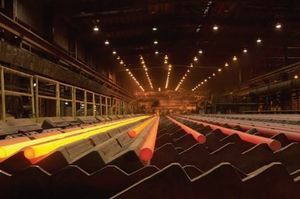 Timken’s steel segment sales totaled $1.63 billion last year, down 11.4 percent from $1.84 billion in 2011, and the unit’s earnings before interest and taxes (Ebit) fell 5.8 percent to $251.8 million. The company did not disclose tonnage data.